Do you live in or near Humble, TX? Are you looking to turn your backyard into the perfect staycation destination? Being in the pool building industry since 1998, Platinum Pools is a leader in the industry with over 20 years of pool building experience. No matter if your backyard is big or small, we can build you the backyard oasis you’ve always dreamed of. Check out some Humble, TX backyards that we have transformed as well as what some of our prior customers from Humble have to say. Excellent and knowledgeable company that I would highly recommend to anyone looking to install a pool. I would highly recommend this company to install your next pool. 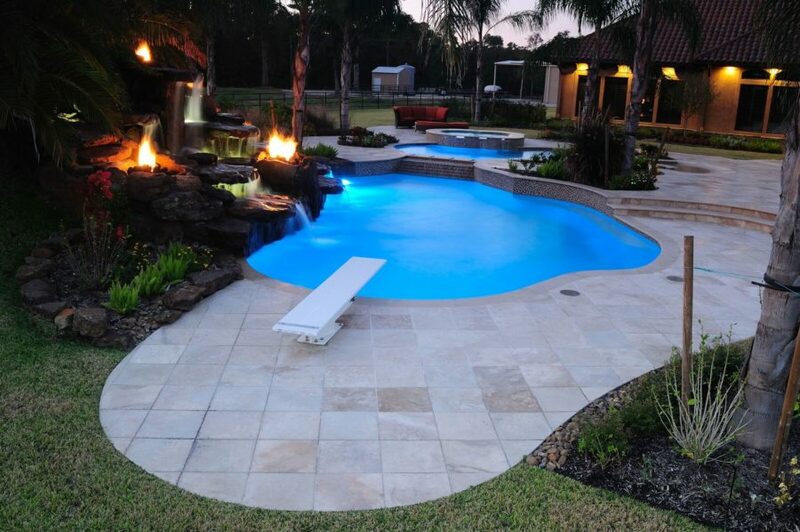 Everything was completed in a timely manner, the employees were excellent to work with, the product they delivered was exactly as we wanted; and with the personal choices you have when installing a pool. They asked our opinion and got it right each and every time. We could not be happier! If you think installing a pool is difficult and you are putting it off, give Platinum Pools the opportunity to simplify the process for you. I would highly recommend this company to family and friends. Had a great experience with Platinum Pools. Had a great experience with Platinum Pools. They came in started a schedule and stayed on that schedule and had our pool ready in about a month. Was not expecting that fast! Good customer service through out the whole construction process. They explained how to work everything on our pool and made sure we new it. If we have any problems we can still pick up the phone and they will help us with any questions or problems. We have really enjoyed our pool that we have been waiting to get for 5 years. It was worth the wait.